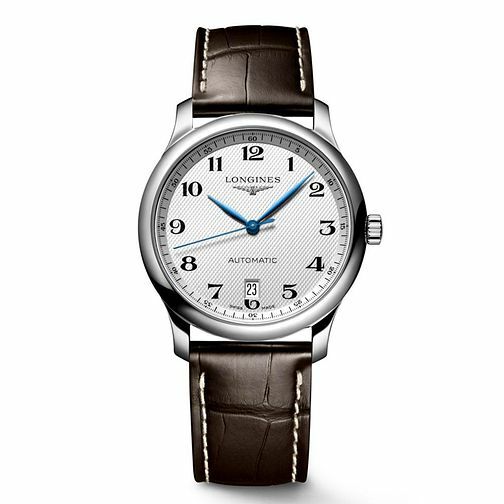 Longines men's brown leather strap watch. A classic watch for stylish men. Longines Master Collection men's brown leather strap watch is rated 5.0 out of 5 by 3. Rated 5 out of 5 by Anonymous from elegant,classy,delight to wear. after many hours trawling websites,reviews i finally went for this watch. a great decision gained a few minuets a week but returned it for adjustment,doesn't miss a beat now,brilliant! Rated 5 out of 5 by Anonymous from Amazing watch Bought this watch as a birthday present. Really impressed by the quality and the workmanship. The sales assistants Varsha and Samrana at the Brent Cross branch were very knowledgeable and helpful.